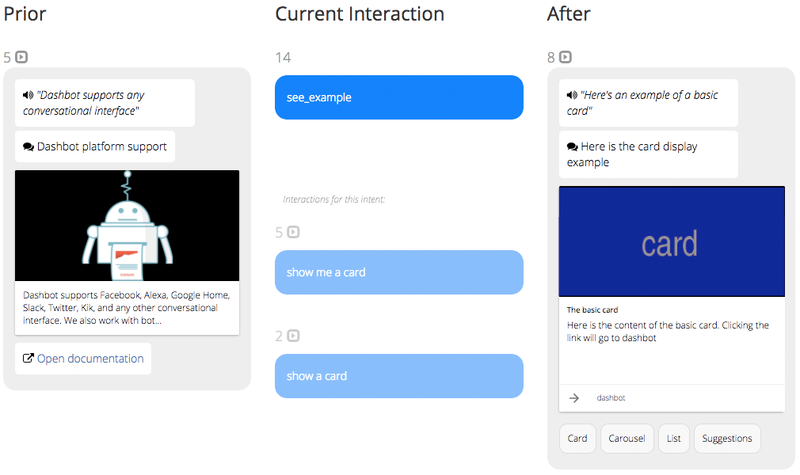 View the most common messages, utterances, and Intents into or out from your chatbot or voice skill. If the platform supports multiple content types, filter the lists based on content type to see top images, audio, stickers, and more. 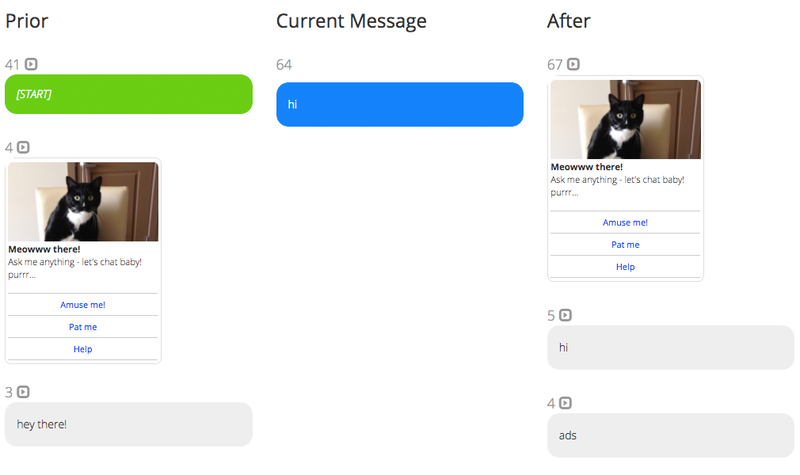 Select any interaction to enter the message funnels below to learn more about user behavior. Similar to the top interactions in and out above, Dashbot shows the top Exit Messages, Utterances, and Intents so you can quickly see where drop off, abandonment, or conversions occur. 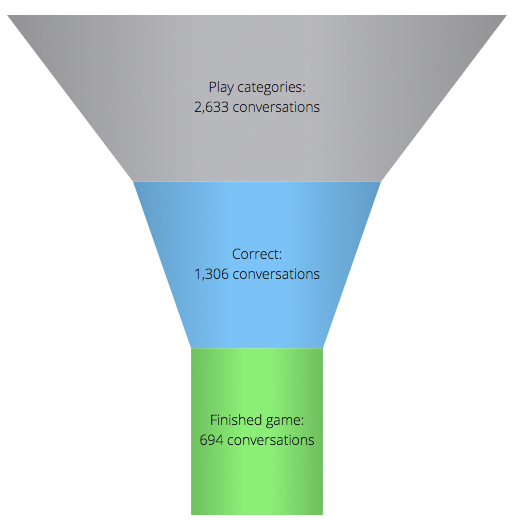 Message, Utterance, and Intent Funnels enable you to see where your chatbot or voice skill may be breaking down as well as opportunities for new use cases to support. 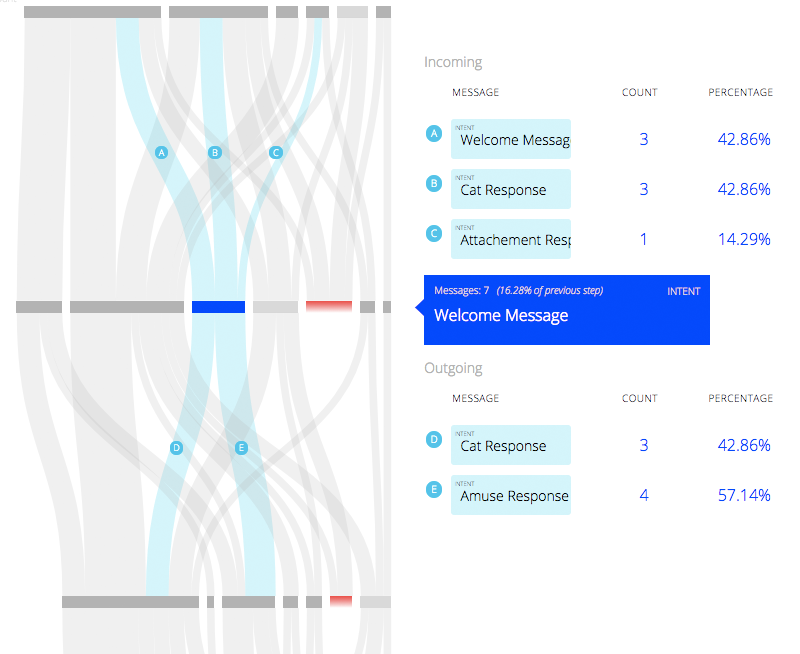 Simply select any message or Intent in or out from your bot or skill from the top or exit lists above, and see what happened before and after, and continue to traverse the flows in either direction. With Dashbot Goal Funnels, you can track how many users make it through the various steps,or stages, of the funnel. This is a quick way to track conversion and abandonment. View the most common paths through your chatbot or voice skill. Quickly see abandonment and conversion.